Tom T. Hall has been called the Nashville Storyteller. To me, he’s the last great storyteller Nashville will probably ever see. There is a significant difference between a songwriter and a storyteller. A storyteller, in three to five minutes usually, can make you care deeply about the characters in the song; whereas a songwriter can bring the world in different ways, with the art of wordsmithing. Tom T. Hall has many song hits to his name, whether recorded by him others, and an each single one, I have cared deeply about those characters. The first time I heard "Mama Bake a Pie (Daddy Kill a Chicken)" was on an album of oddities and b-sides by The Drive-by Truckers. I even assumed they wrote it. That’s the problem with digital music, there is no glorious artwork to pull out, with wonderful liner notes for one to peruse at their pleasure. When I first heard it, I knew Patterson Hood was busily beating his anti-war drum because Iraq was going hot and heavy. Honestly, I didn’t think much of it then, but it steadily grew on me. When I discovered Hall wrote it, I was instantly over the moon, especially as I listened to the words more and more. Tom T. Hall wrote it in protest of the Vietnam War. That was his intent and it is clear, as plain as day. Vietnam has always loomed large in my life. I don’t know why. The war ended the year I entered it and none of my immediate family ever served in Vietnam. I think there might be a connection there. My father served in the Guard and stayed in college, hence he had a deferment. Maybe there is some lingering residual guilt there, to be honest, however, in that place in time, I might have done the same. Vietnam was weird for our country. First modern loss. First time seeing body bags on the runway from a war. First time seeing the glaring duplicity of the draft. First time seeing young men and women being spit on, all for serving their country, so the very people protesting them had the right to protest. First time a sitting president made sure his family made millions upon millions, by supplying weapons to the very soldiers who were dying by the scores, just to keep that war humming. The first time an incoming president sabotaged a peace treaty, just so he could get elected. Out of all this madness and chaos, however, came some the best music this country has ever produced. I would place the song in either the early days or about halfway through the Vietnam War. The reason why I’ve assumed the time, is because there is no all out bitterness at those who have served, like in the latter years. It’s about a good old boy who lost his legs in the war and is traveling home on a plane. A man asks him if it was worth it and stewardess inquires if he was scared. The soldier responds in the manner that is expected of all who serve, whether if they believe it or not. The story continues about all his fears and worries awaiting him ahead. The parents, the former girl, the family and a July fourth parade. Tom T. Hall may have been going strictly for antiwar, but I took other things away from the song. The shock of returning someplace without mortars, automatic fire, mines and grenades. In WWII they called it shell shock. In Vietnam it was the thousand yard stare. Now we simply call it PTSD. Adjusting to that must be horrendous and have it fall on anybody, especially young, healthy Americans, well that is the biggest heartbreak of all. Another thing was the young soldier anticipating all the problems at home. Parents heartbroken, girl no longer his, and just what was he going to do with the rest of his life. Countless young soldiers deal with this upon coming home. You would think the land of milk and honey would have a program/programs to help these men and women adjust, instead spending money to send more off to war, wouldn’t you? I keep returning to that bottle in his lap. It haunts because I have struggled with my own demons. Whether it be drink, drugs, or anything else, nothing will stop those demons and nightmares from coming out to play, except maybe love. The Robins and Elvis Presley were hot a little before my time. Now, that doesn't mean I couldn't have developed an affinity for their music. I mean, hey, you can believe that Elvis is still alive. So ... certainly, their songs have a life of their own that periodically shows sparks. The Robins? - they were a 50s band that Jerry Leiber and Mike Stoller poached to put together the Coasters, with whom they had a string of early rock hits. Leiber/Stoller were pretty successful in the 50s and 60s both as song writers and producers. In addition to writing "Riot" and various other Coasters hits, they penned "Hound Dog" of Presley fame, "Yakety Yak", "Stand By Me", "On Broadway" and a total of about 70 hits that earned them a place in the Rock and Roll Hall of Fame in the 80s. One of the Leiber/Stoller hits that keeps coming back in various versions is about a jail riot that starts in cell block 4 and continues for almost 2 days until the authorities use gas to subdue the inmates. It's the 48 hours from July 2,1953 to July 4, 1953. Take a minute to consider the appeal of a song like "Riot", paying attention to the reputation that rock music had at the time: a bad influence on our youth. Scar-face Jones said, "It's too late to quit"
Here come the warden with an automatic gun"
Is this anything you want your kids listening to? The version I first heard is the Johnny Winter one. 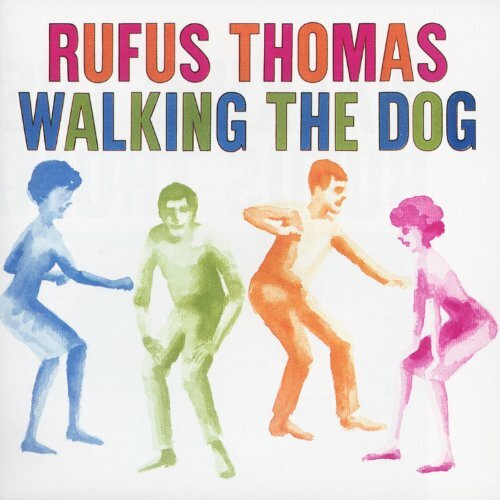 At this point, Rufus Thomas is probably best remembered for this fun, nursery rhyme influenced song, but it was only one of his hits, mostly novelty dance songs, often about dogs or other animals, in a long musical career that started as a child tap dancer on the streets of Memphis in the 1920s, and included stints in minstrel shows in the 1930s, as a vaudeville performer in the 1940s, as a songwriter, performer and DJ in the 1950s, as a popular recording artist in the 1960s, and he continued to perform and record thereafter, often billed as “The World’s Oldest Teenager” and “The Funkiest Man Alive,” until not long before he died in 2001 at the age of 84. Pretty much everyone has covered “Walking The Dog,” from the Stones, to the Everly Brothers, to the Flamin’ Groovies, as well as Aerosmith, Roger Daltrey, Bruce Springsteen (in an epic 14 minute plus version), Ratt, The Grateful Dead, and John Cale. And many, many more. Even in Finnish! But Thomas’ version, with its New Orleans influenced style, and the joy that he brings to the silly lyrics, is still remembered because it is just that good. And yes, it mentions July. As I was writing this piece, I thought back to walking our family dog, Strummer, who died back in 2014. In July. You can read more about him, and our relationship, here. Sure, you know this, of course you do. You may have sung it as a child; it certainly sounds as if you should have sung it as a child. I didn't but, when I first heard it, I sort of wish I did, or had. I first came across it on the remarkable Kristin Hersh solo album, 'Hips and Makers', in 1994, somewhat of a sidestep from her earlier and later career as, arguably, THE Throwing Muse. (No argument really, but reference is always made, compulsorily, to her half-sibling in the band, Tanya Donnelly.) Tucked in towards the end of a slew of songs of sparse self-immolation comes this cover of an old english folk song, Roud 413 no less. (Me, neither.) It stands out by virtue of its simplicity, perhaps the trigger to her later album, consisting entirely of traditional appalachian ditties, 'Murder, Misery and then Goodnight', also strongly commended. Many of this songs on that set too have a link back to the ballad traditions of Britain. 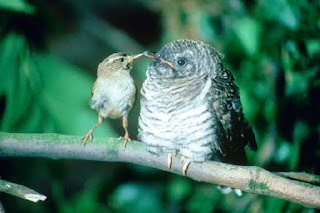 So what have cuckoos to do with July? Well, everything apparently, or sort of, at least over here. Let me direct you to the lyrics, except, being from the canon of trad.arr., often the lyric varies from version to version, as there is some uncertainty as to whether they "never holler cuckoo till the 4th of July" or whether they "sucketh white flowers to keep her voice clear", the lines apparently interchangeable. This may help. But, as I was saying, it was deemed so essential that a cuckoo's song be heard to beckon in the start of summer that the venerable Times of London traditionally published, and may well still do, yearly letters around when readers had heard their first of the year. Indeed, a book has put these together. And for those who are thinking the 4th of July late for summer, and I write on the 15th after a full 8 weeks without rain, the suggestion is that the July versions of the song emanate from singers trying to appeal to an american ear. The list of performers who have included this song in their repertoire is huge, not unexpectedly including the greats of folk song on both sides of the pond, from Jean Ritchie to Shirley Collins, Doc Watson to Martin Simpson, let alone Bob Dylan and Joan Baez. More surprising are versions by rock/blues screamer Janis Joplin (in Big Brother and the Holding Company) and rapper Buck 65. Here, however are a few more elegant versions, three of my, other than Kristin, favourites. Hell, I haven't even included Townes, Rory and many, many more. (And some of these, mentioned and/or featured may offer the flower sucking over July. So sue me!) But, before I send you to the record store, all this romanticism should not take away the ugly truth about this bird. Do you know, if you like the Kristin, buy the whole damn album!